Welcome to the Cobblestone Hotel & Suites in Jefferson, Iowa. Our beautiful hotel is conveniently located near everything that Jefferson, Iowa has to offer including the Wild Rose Casino, the Jefferson Municipal Airport, the Greene County Medical Center, and more. Our hotel provides easy access for traveling to and from U.S. Highway 30. Located north of Interstate 80, our hotel is within 70 miles of Des Moines, Iowa. In town for business? 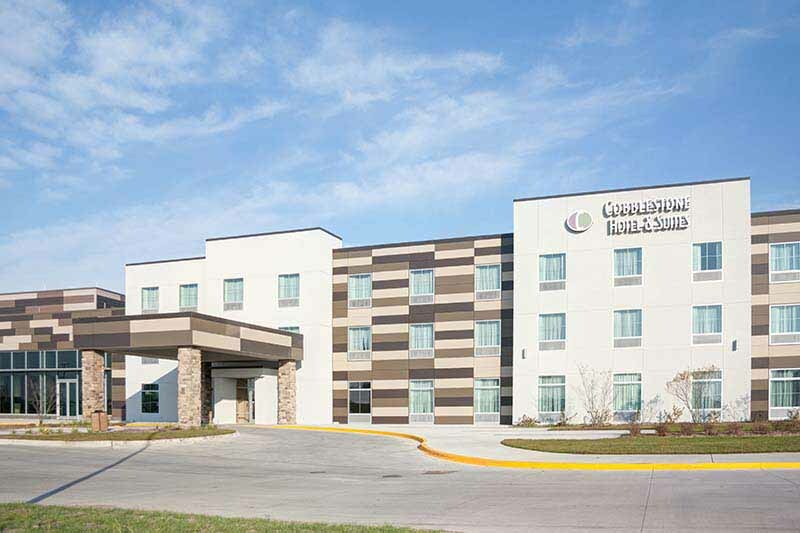 The Cobblestone Hotel & Suites in Jefferson, Iowa offers easy access to DRS Manufacturing, Syngenta Seeds, Midland Power Cooperative, B & D Manufacturing, and much more! In town for some fun? Check out the Wild Rose Casino, Bunkers Dunkers, The Raccoon River, and more.